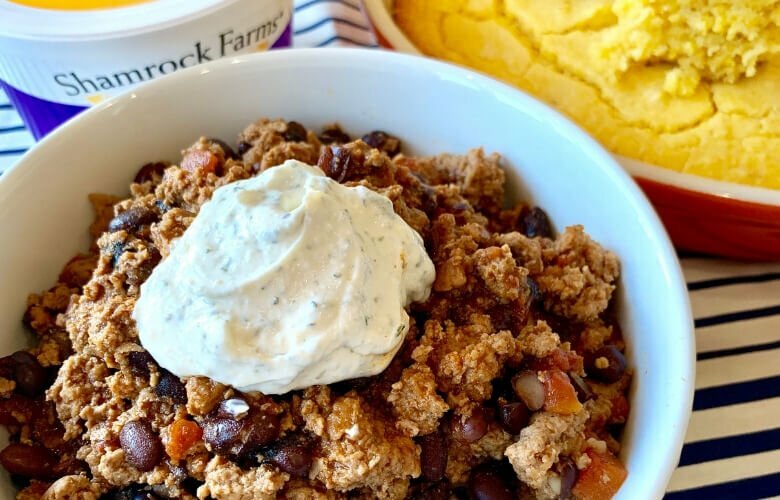 Ranch Crack Dip is a delicious and easy recipe for a vegetable or chip dip, or as a topping for chili, soups, and stews! It’s my Crack Chicken sauce minus the bacon and cheese, and it’s a simple homemade ranch dip that you can feel good about serving–especially if it’s made with Shamrock Farms sour cream. 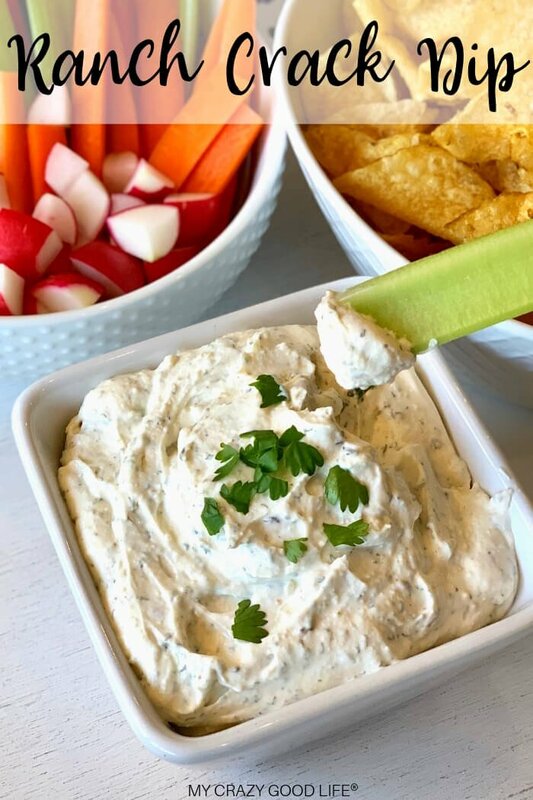 This Ranch Crack Dip is a recipe taken directly from my Crack Chicken recipe, based on the crazy amount of feedback I’ve received from my readers about how they love to use the Crack Chicken “sauce” as a vegetable dip and topping for chilis and soups. 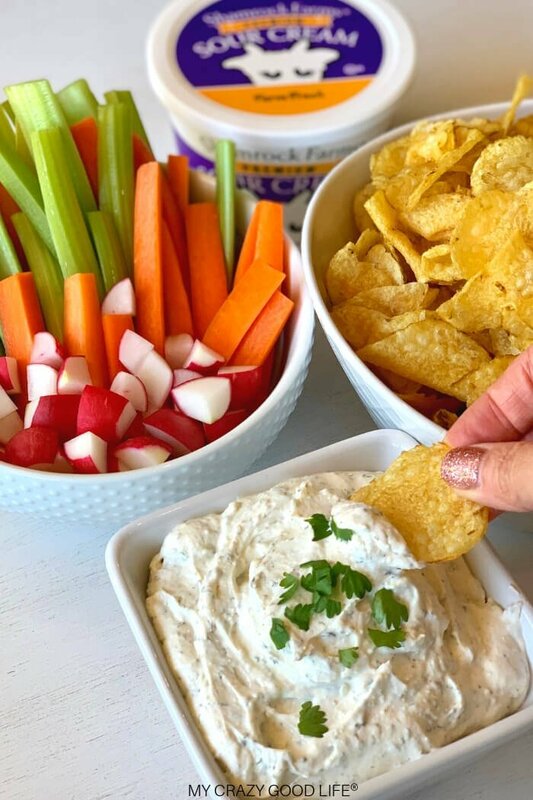 This Ranch Crack Dip is perfect for your party dips–especially if you’re hosting March Madness events at your house! 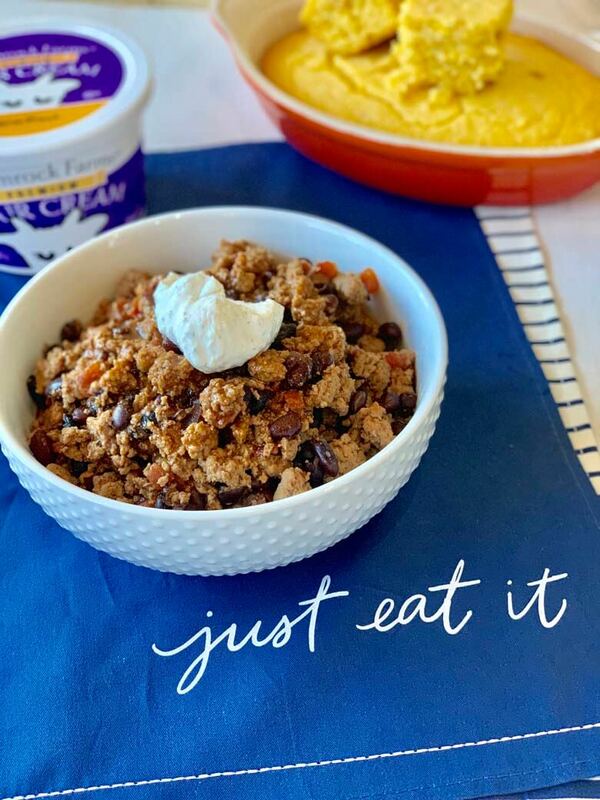 It’s easy to transport (you can add it right back in the sour cream container!) and will impress fellow partygoers. 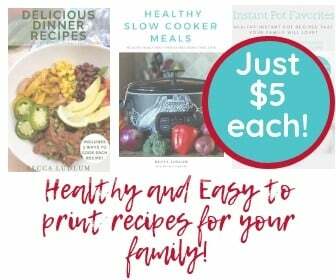 You can find the full printable recipe with nutrition information below! Why is this recipe called Ranch Crack Dip? Like I mentioned before, this recipe is taken straight from my Crack Chicken Dip and it’s a simple homemade ranch dip recipe. Dip your veggies, your chips, or whatever else you love to dip and enjoy the fresh taste of this Ranch Crack Dip. For our sour cream, we always use Shamrock Farms. Shamrock Farms uses the freshest milk and cream to start their sour cream process, and it’s a brand that we always reach for in our local grocery store. 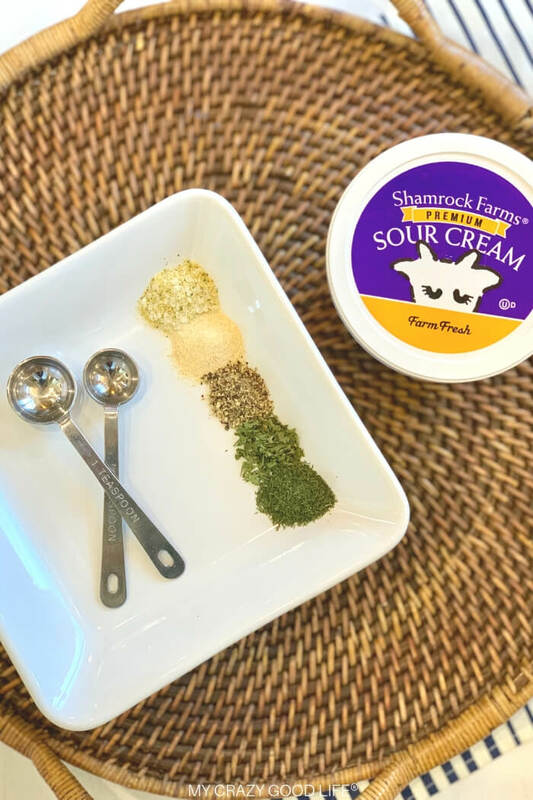 Shamrock Farms Sour Cream–Traditional or Organic? I feel confident buying Shamrock Farms non-organic Sour Cream because it doesn’t contain growth hormones in any of its products. How do you use Ranch Crack Dip? There are so many uses for this Ranch Crack Dip! 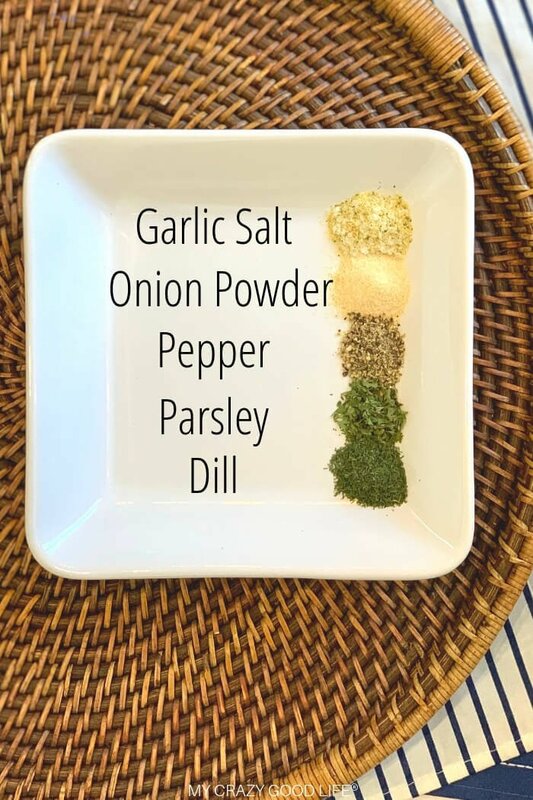 You can use it as a dip, of course, but you could also use it as a spread for sandwiches or pinwheel recipes, as a topping for chili like we did below (this got rave reviews from our guests! ), or even as a topping for fajitas and other Mexican food. What other delicious recipes can I make with this Ranch Crack Dip? 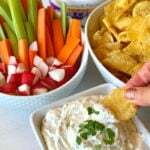 Ranch Crack Dip is a delicious and easy recipe for a vegetable or chip dip, or as a topping for chili, soups, and stews! It's the Crack Chicken sauce, minus the bacon and cheese. It's a simple homemade ranch dip that you can feel good about serving–especially if it's made with Shamrock Farms sour cream. Mix seasonings with sour cream. Store in the fridge. To find the best and freshest dairy products, visit www.shamrockfarms.net and follow Shamrock Farms on Facebook. I can see why this is named crack dip. I seriously am addicted to this dip!! Love this – can’t wait to try. such a great recipe! You have got a winner here! Every time I make this dip, people go crazy for it!! Such a great recipe!! Love this dip. This dip is so easy and so good!